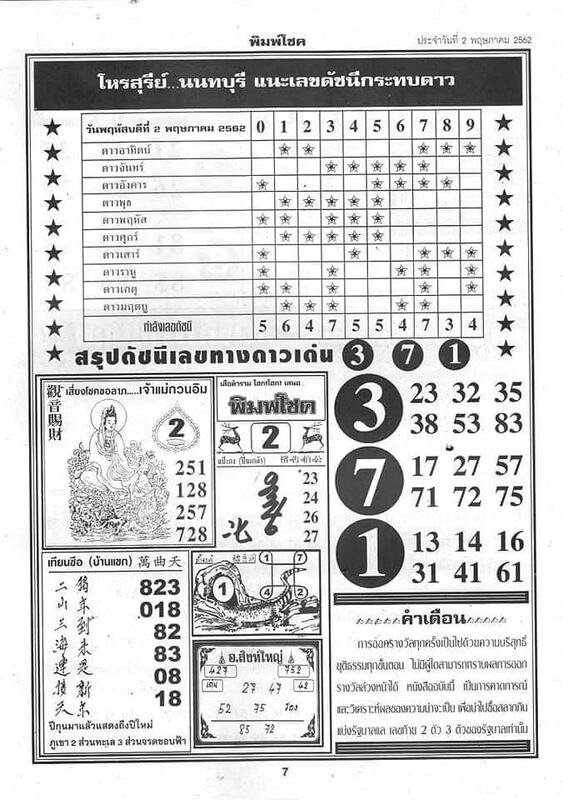 Tips to find lucky numbers: If you strongly believe in Karma then March will be your month. 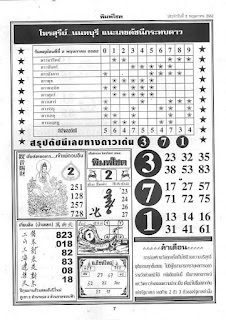 Choose numbers that are relative to your family members such as birthdays or a special day you share with your wife. 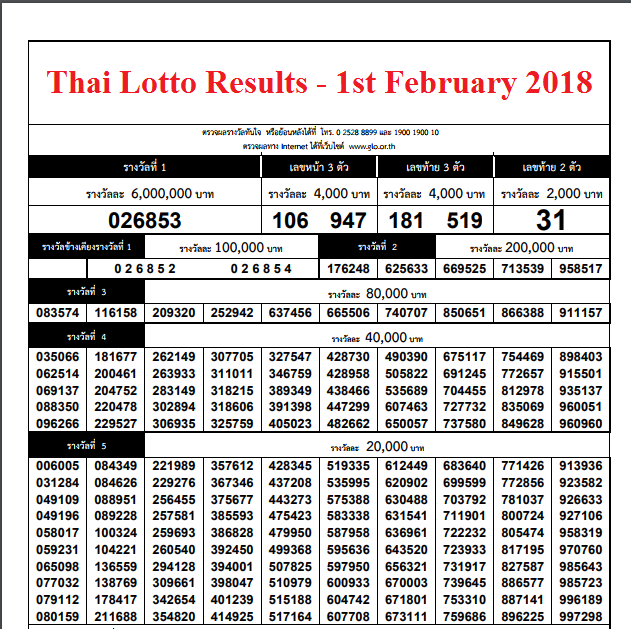 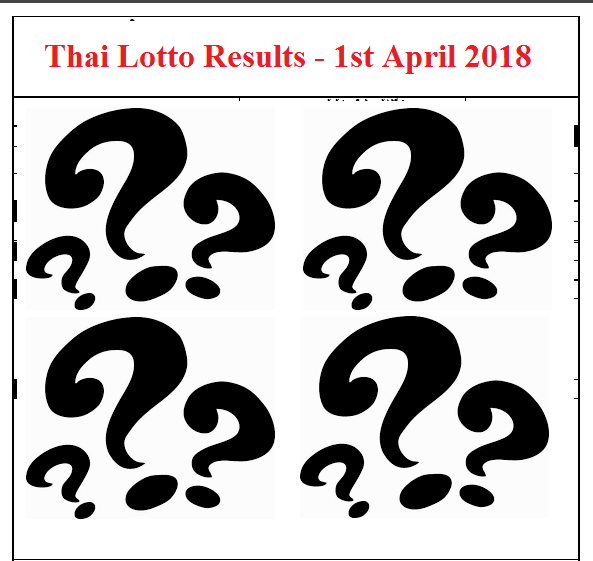 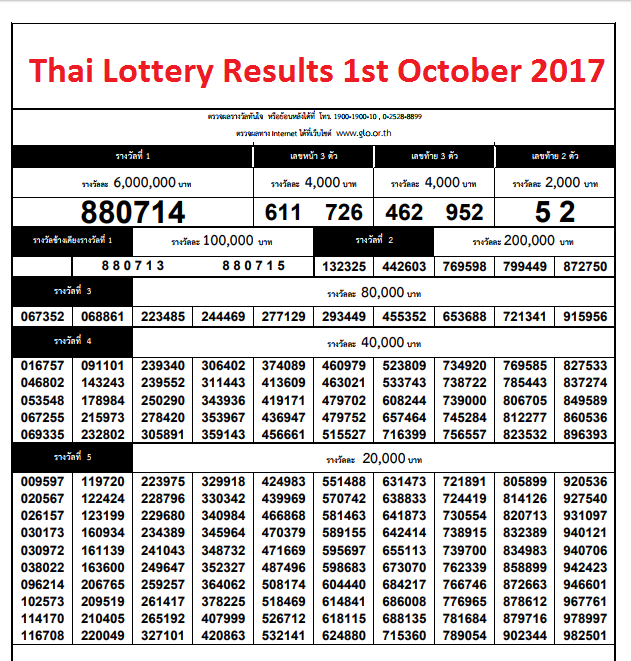 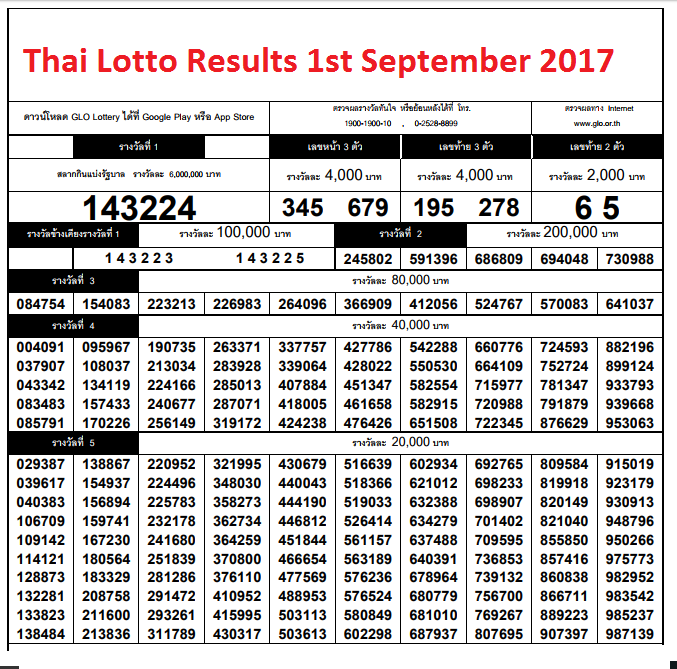 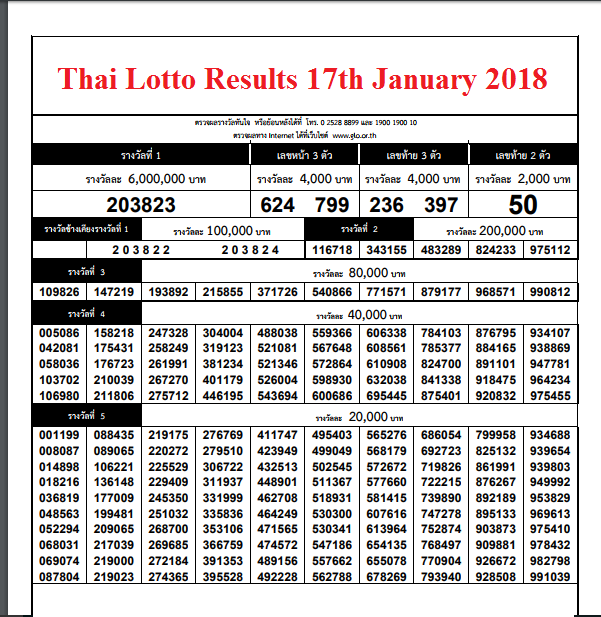 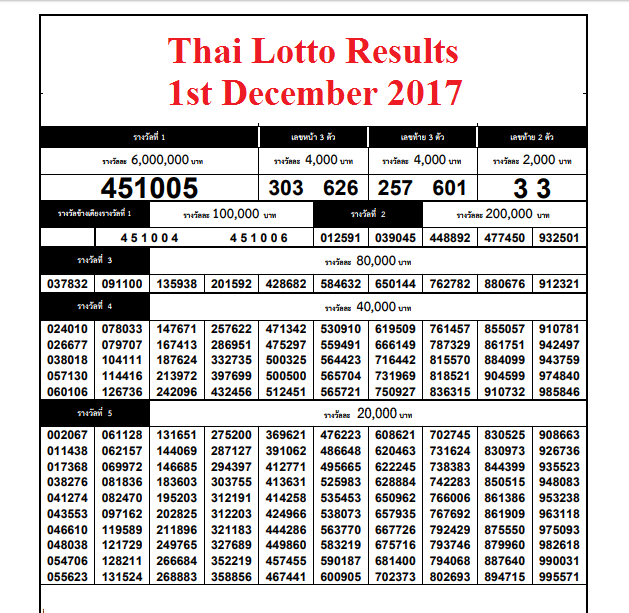 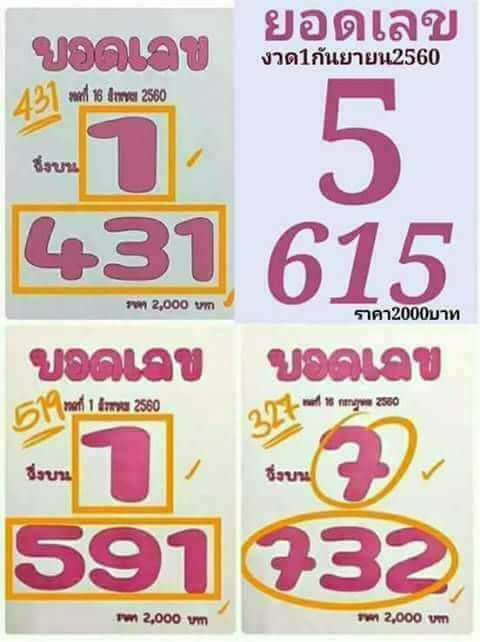 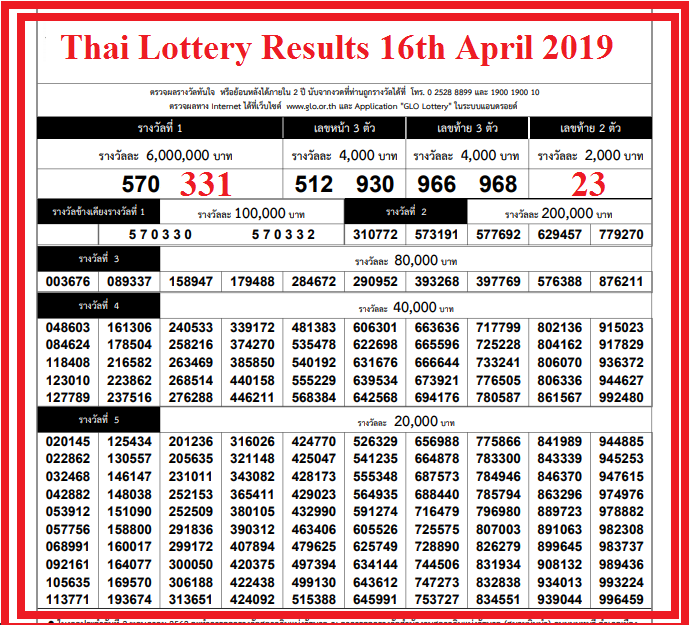 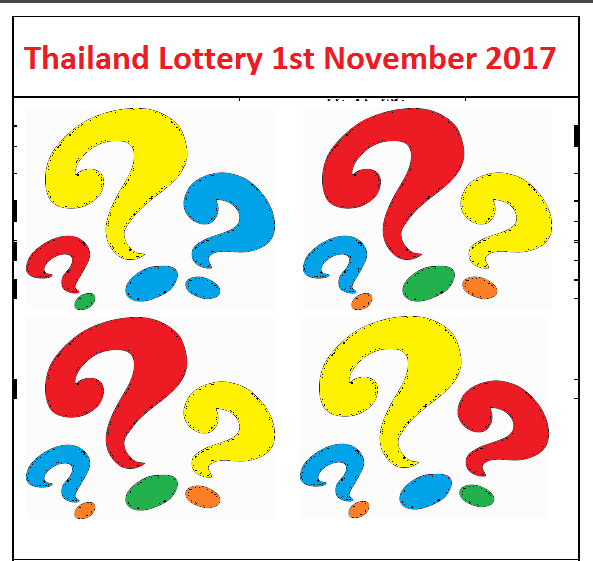 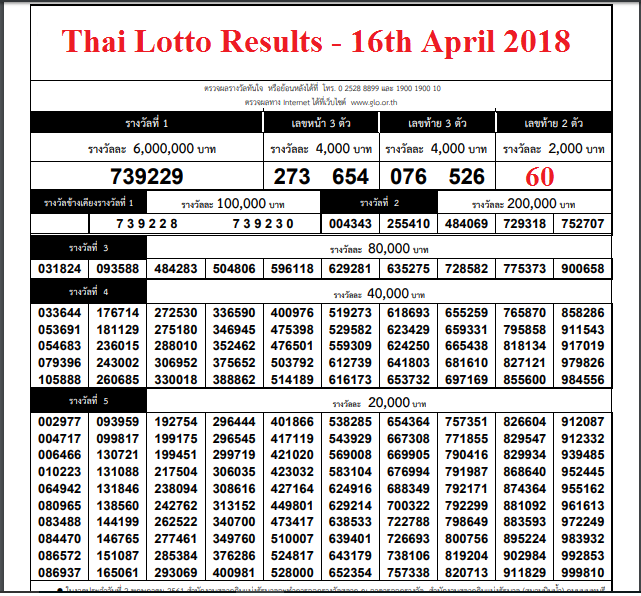 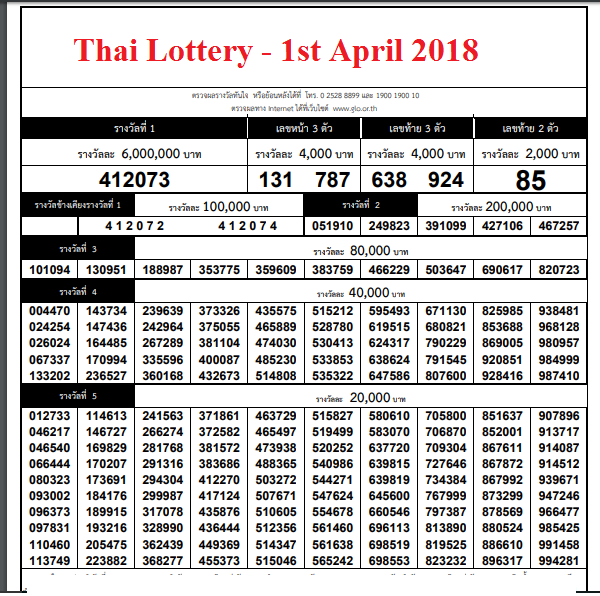 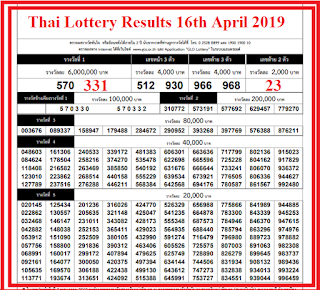 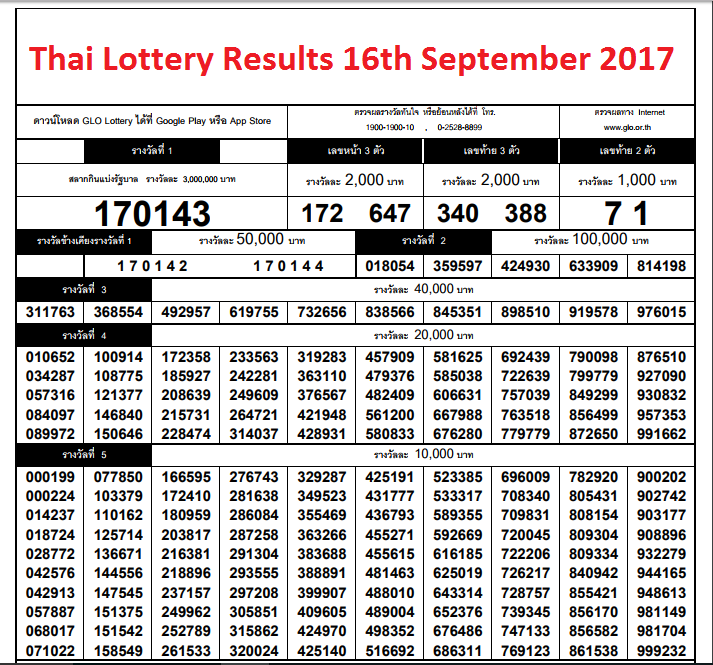 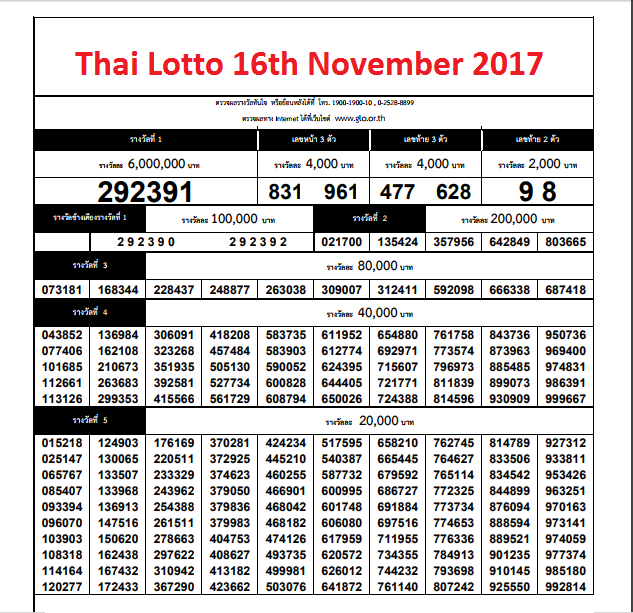 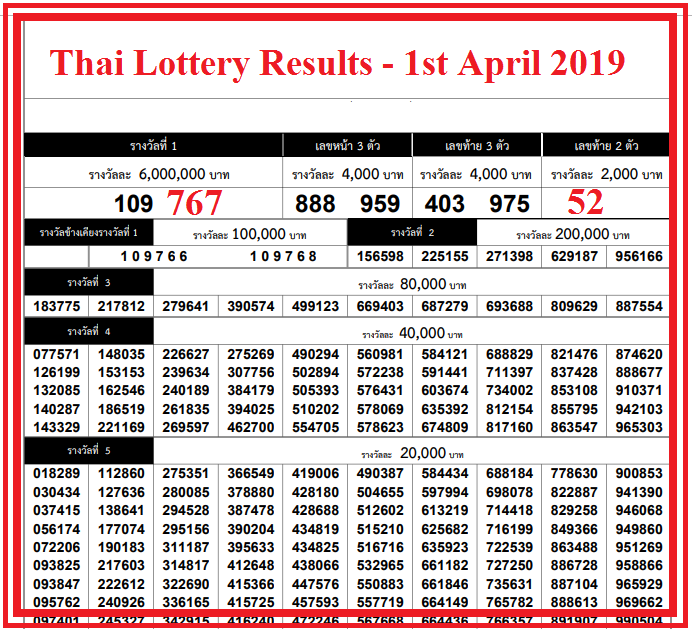 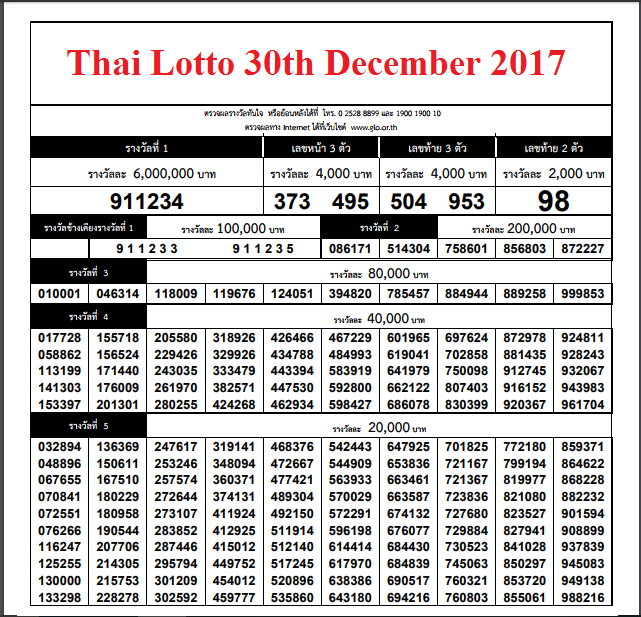 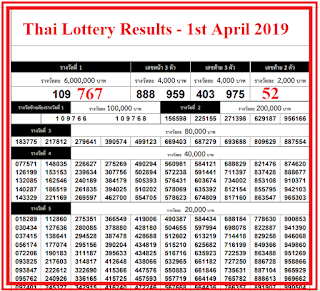 This months Thailand Government Lottery will be on the 17th January 2018. 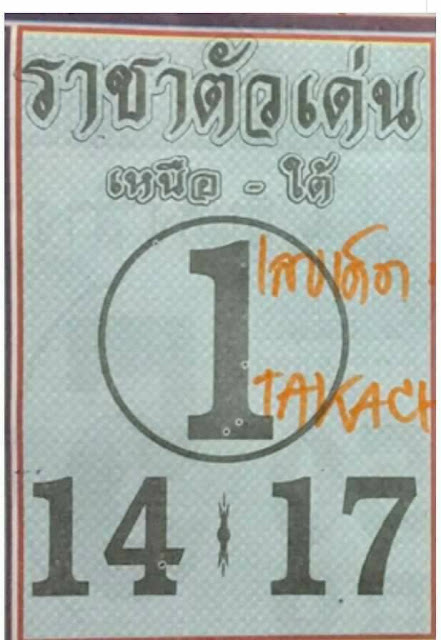 Please visit us.